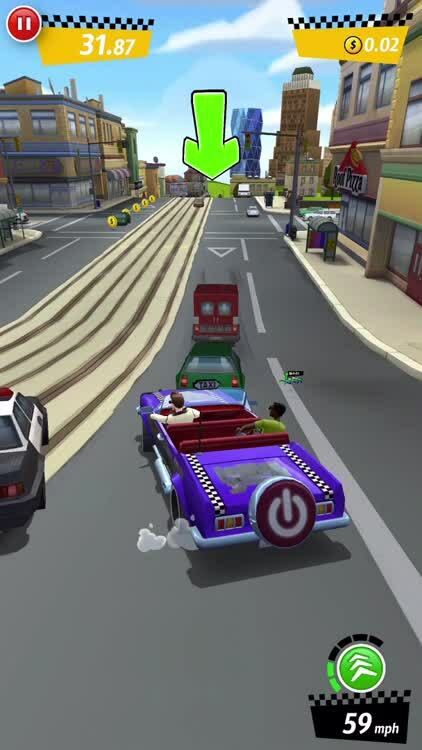 Driving a taxi has never been so fun and chaotic. 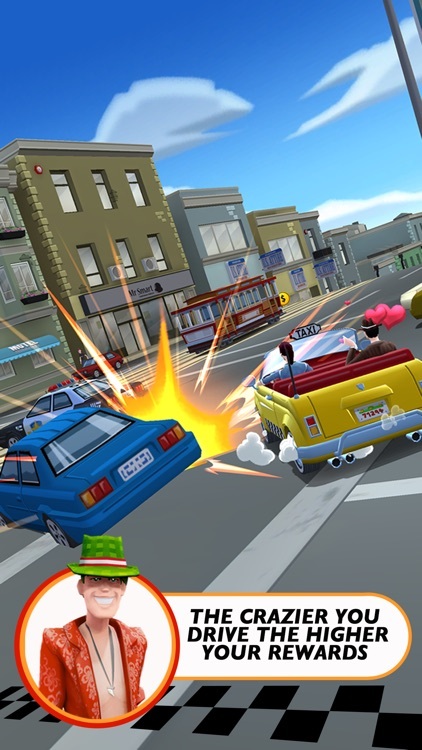 Crazy Taxi City Rush is the sequel to one of Sega's legendary franchises. 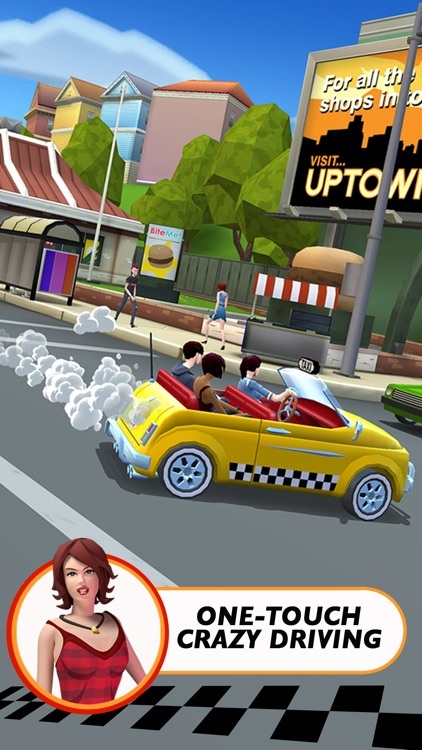 In City Rush, you'll be picking up new clients and speed through gorgeous cities in order to get them to their proper destinations in time. 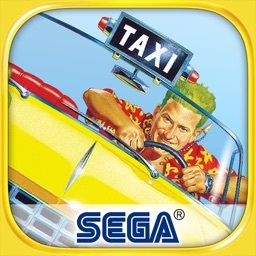 Of course, since this is Crazy Taxi, you'll need to be fast and dodge traffic, perform some crazy stunts, and earn your multipliers for even more cash at the end of a successful job. 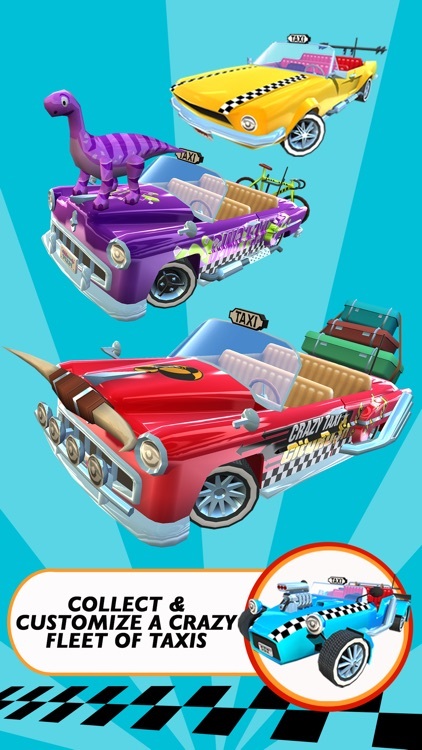 You can spend your cash customizing your ride and giving it much needed upgrades to make your job easier. 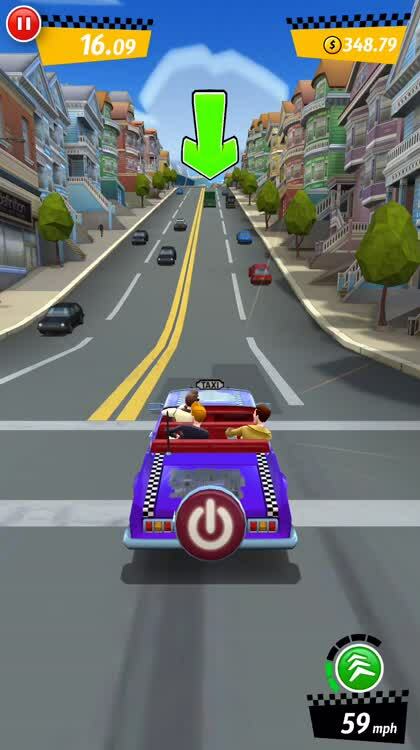 Being a taxi driver has never been so awesome. 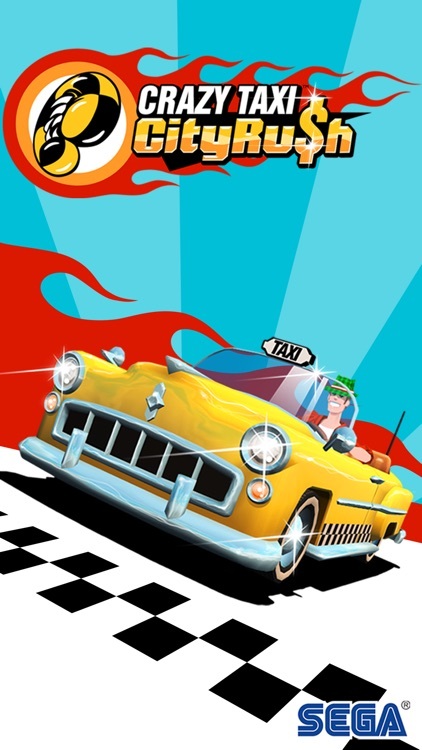 Get your passengers there on time. 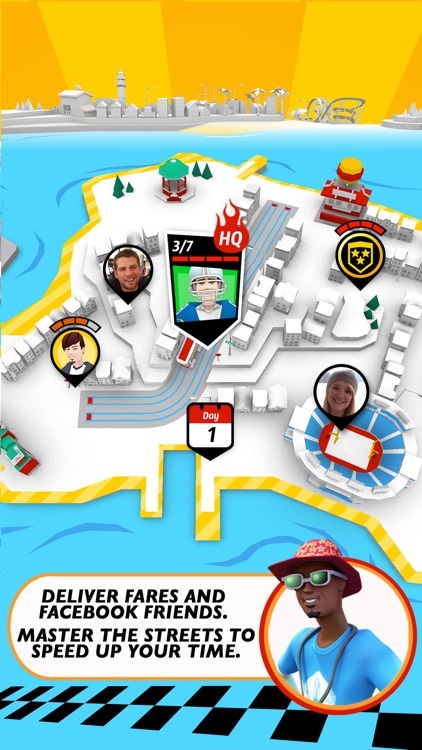 The main goal is to get your passengers to their destinations on time. How you do that is up to you, but boosting your speed is always a good idea. This is especially true because your boss expects you to drive like a maniac. Wheelies, jumps, and crashes, oh my! Bad driving is expected, not frowned on. 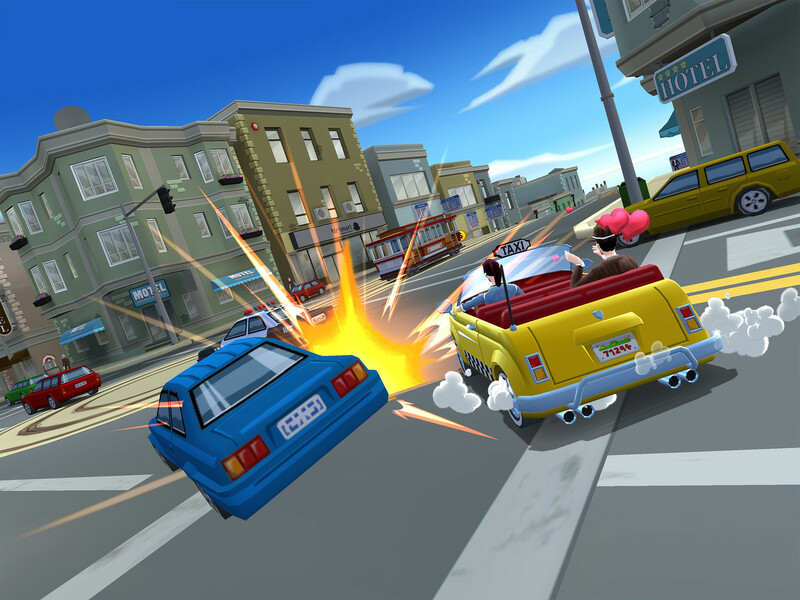 You get extra points and cash for wheelies, jumps, crashes, and other acts of automotive mayhem. Customize your cab. 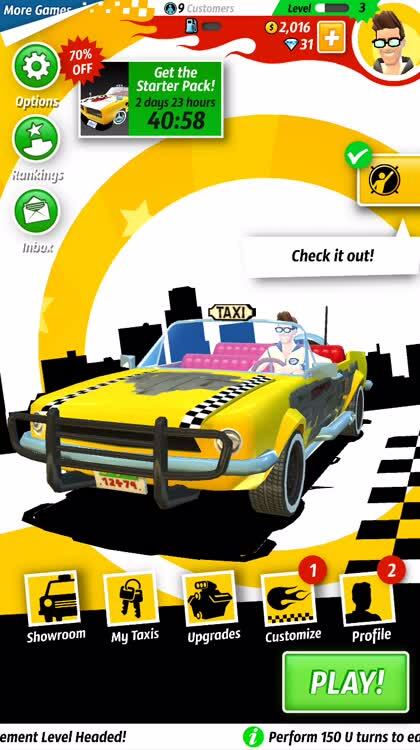 Trick out your cab with bull horns, fancy graphics, and new paint jobs. I decided I wanted my cab to be purple instead of the default yellow. 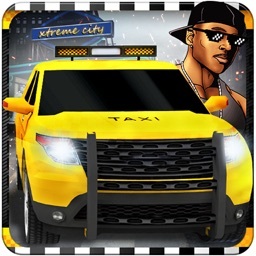 Crazy Taxi City Rush is a fast-paced taxi game where you must do whatever it takes to get your customers where they need to be. 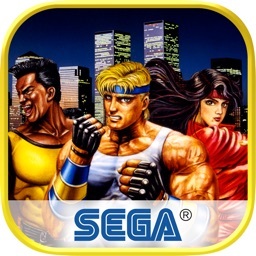 To do this, you have to dodge annoying traffic, perform stunts, and up your multiplier for better scores and more cash. 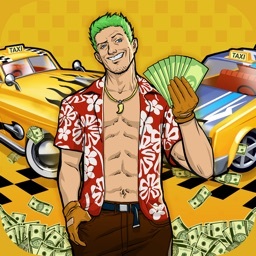 The cash can be spent to pimp out your ride and even get some upgrades that can make your job as a taxi driver even easier. 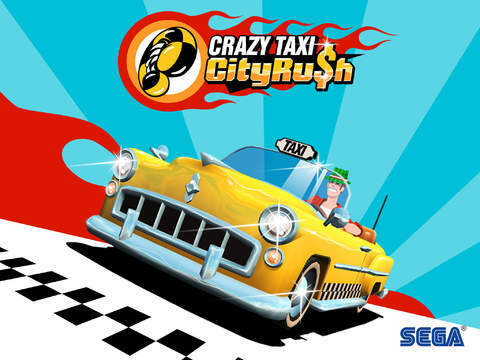 There's plenty to love about City Rush, whether you're a Crazy Taxi fan or a newcomer to the series. 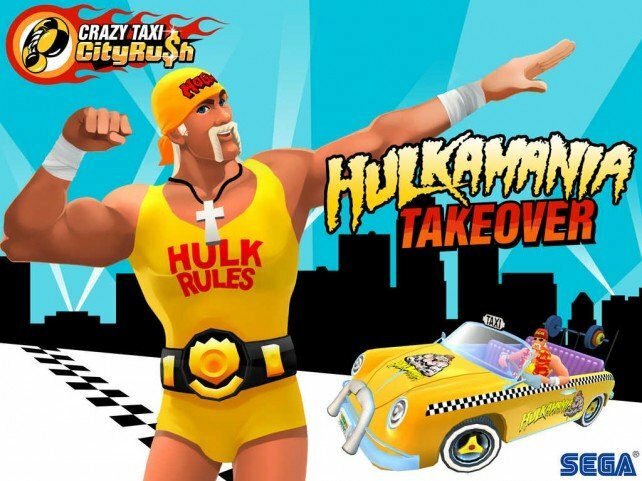 Old-school Crazy Taxi fans will recognize some of the characters in City Rush, although you don't have to be familiar with the franchise at all to enjoy it. 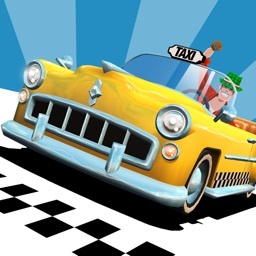 Just bask in your awesome ride, do crazy things on the road to get the job done, and see how fast and skilled your driving is. 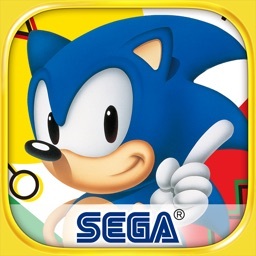 There's no consequences to worry about in this game.